When extreme weather strikes, lives and livelihoods are ruined, and farms are altered. Scientists are utilizing the most modern supercomputers to generate higher resolutions with greatly enhanced forecasting skill to help farmers beat extreme weather. Running sprinklers on the right, impending downpours on the left - color me confused. Why would growers, who are much more knowledgeable about their crops, put down water when thunderstorms are rumbling on the horizon? As we move from spring to summer, an interesting question arises: should those hoping for big corn yields this fall be cheering for a cooler- or warmer-than-normal summer? Seasonal Weather Outlooks: Are the Risks Worth the Reward? 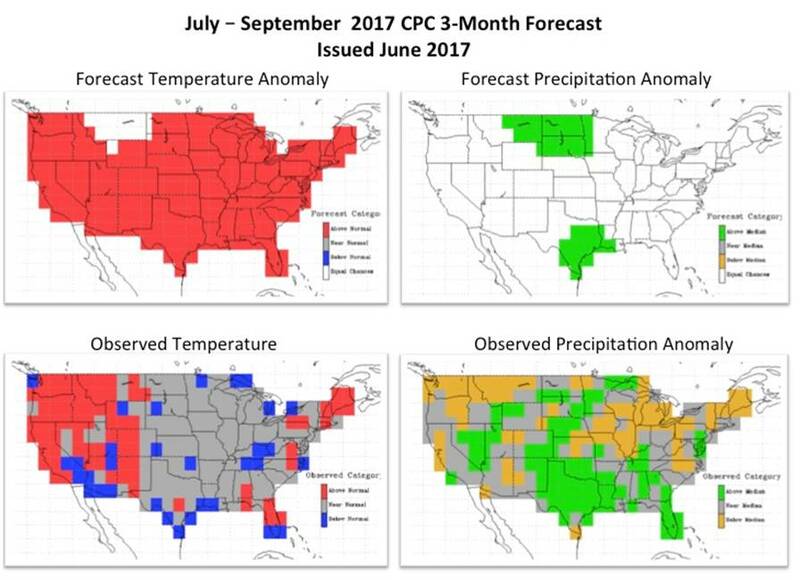 Monthly and seasonal forecasts are large-scale in nature and dont provide specific numbers for the various weather parameters. In other words, the science currently cannot provide accurate long-range forecasts of actual weather conditions for a given day specific to your location. 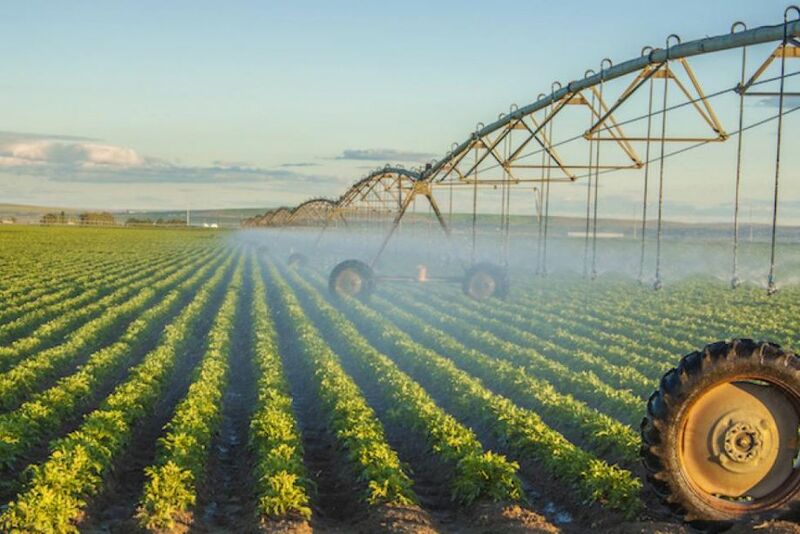 The inter-play between atmospheric processes, land-subsurface processes and agronomic processes must be considered to make irrigation decisions that promote the economical use of water and energy for the highest crop yield and quality. Today, companies like Farmers Edge are installing weather stations in their customers fields to acquire accurate, site-specific data. And having a dense network of weather stations enables detailed analyses of regional trends. While crop producers lay out their best plans for success early in the season before planting begins, inevitably some combination of crop pests, unpredictable weather, and even the neighbors livestock or wildlife in the area can wreak havoc on those plans -- resulting in an accumulation of setbacks at harvest. Crops need weather. Farmers need weather forecasts. Expect to see more advanced weather information being made available as technology improves.